Mr. Roger Tackett, a 1964 graduate of West High School, was inducted into the West Alumni Hall of Fame this past August. Mr. Tackett enlisted in the Marine Corp in 1966, forgoing his college enrollment to fight for his country in Vietnam. He was critically wounded in action in 1967 which left him paralyzed from the waist down. In 1968, he received the Purple Heart for Military Service as a result of his valor in combat and the wounds he received. He graduated from Wright State University in 1973, with a Bachelor's Degree in Political Science. Mr. Tackett ran for public office and was elected to serve as the Clark County Commissioner for six consecutive terms serving a total of 28 years. He oversaw the construction of the Clark County Administration Building and the Springfield Government Center during his tenure as County Commissioner. Mr. Tackett also served as Chairman of the Governor's office of Veteran's Affairs, and served on the Advisory Committee. During this time he helped elevate the Department of Veteran's Affairs to a cabinet level position and advocated a pay bonus for Iraq Veterans. Served on the Board of National Association of County Commissioners. Chairman of Clark County United Way Campaign. Advocate for Miami Valley Council on Aging. Advocate for Air Quality Standards, Energy Conservation and Environmental Preservation. KTK Industrial Park in Clark County has his name on it. Vice Chairman of Steering Committee for Air Quality in the Miami Valley. Served on the Board of Directors for County Commissioners Association of Ohio. Worked to obtain funding for the VA Hospital in Dayton, Ohio. 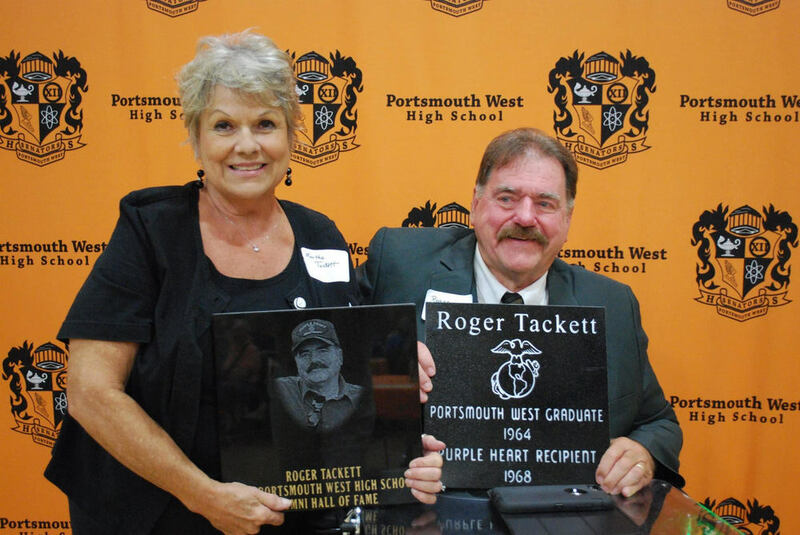 Congratulations Mr. Roger Tackett in being inducted into Portsmouth West Alumni Hall of Fame and thank you for all the sacrifices you made for our country, our community, our veterans, and our families.